Grand Valley Transit (GVT) has taught 36 people how to ride the bus over five travel trainings held this year. 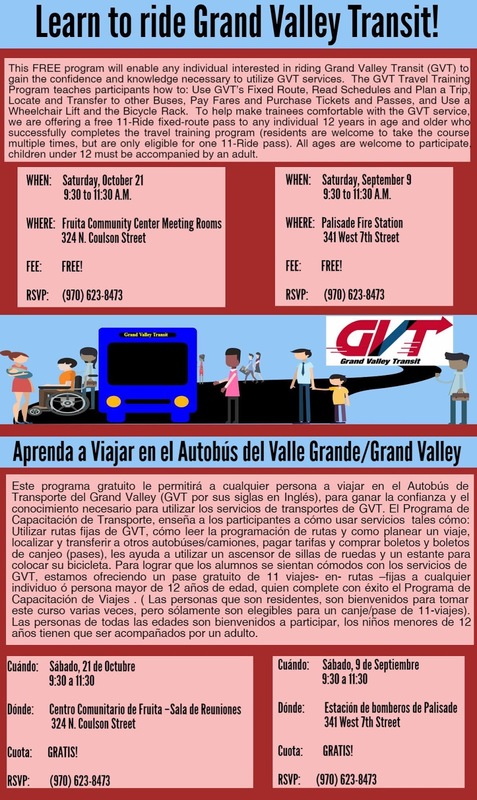 The next GVT travel training will be held on Saturday, Oct. 21 from 9:30-11:30am in the Fruita Community Center Meeting Room, located at 324 Coulson Street in Fruita. Please RSVP by calling (970) 623-8473. Want to ride the bus, but you’re not sure exactly how? Grand Valley Transit (GVT) will take the guesswork out of it during a free how-to-ride-the-bus training on Saturday, Oct. 21 from 9:30-11:30 a.m. in the Fruita Community Center Meeting Room, located at 324 Coulson St. Please RSVP by calling (970) 623-8473. 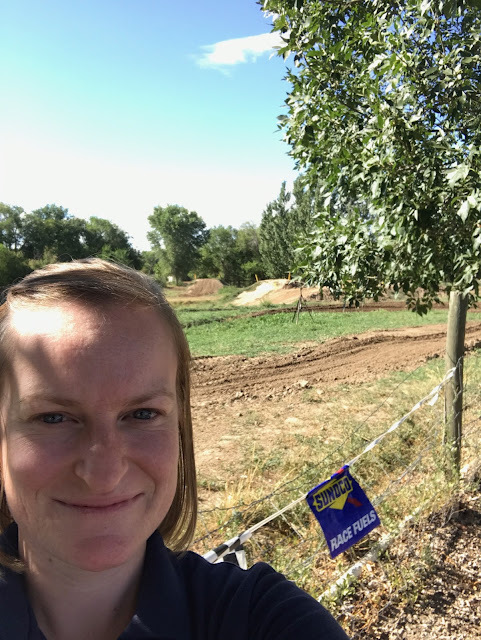 Mesa County Public Health Air Quality Specialist Melissa Salter investigates a dust complaint. 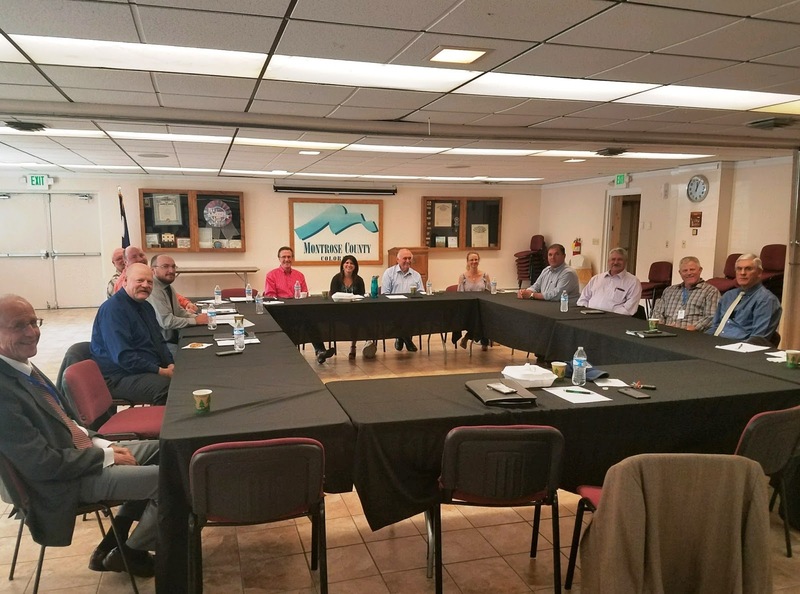 Elected officials and other county officials from Delta, Mesa and Montrose meet at the Montrose County Fairgrounds, 1001 N 2nd St, for the Tri-County meeting to discuss collaboration and joint issues. The Board of Mesa County Commissioners at the Tri-County meeting at the Montrose County Fairgrounds. From left: Commissioner Scott McInnis, Commissioner Rose Pugliese and Commissioner John Justman. Mesa County Noxious Weed and Pest Management continues to locate and treat purple loosestrife plants that escaped from residential ornamental plantings into drainages and riparian areas. 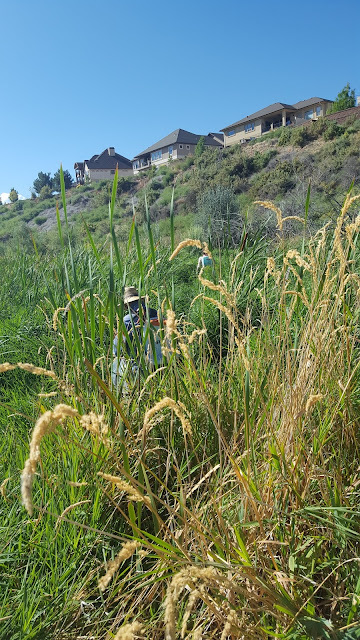 Alan Barbee with Noxious Weed and Pest Management and Ryan Blair with Colorado Parks and Wildlife trudge through thick, tall grass and cattails in a marshy area of Letha Jean Stasson State Wildlife Area in the Redlands to treat purple loosestrife. 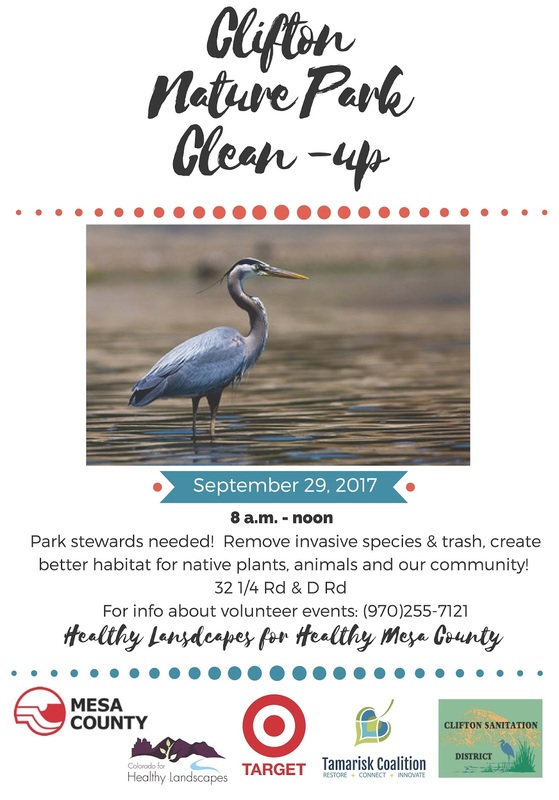 Here is a great volunteer opportunity to help keep the Clifton Nature park clean! For more details, visit https://goo.gl/YQued6. 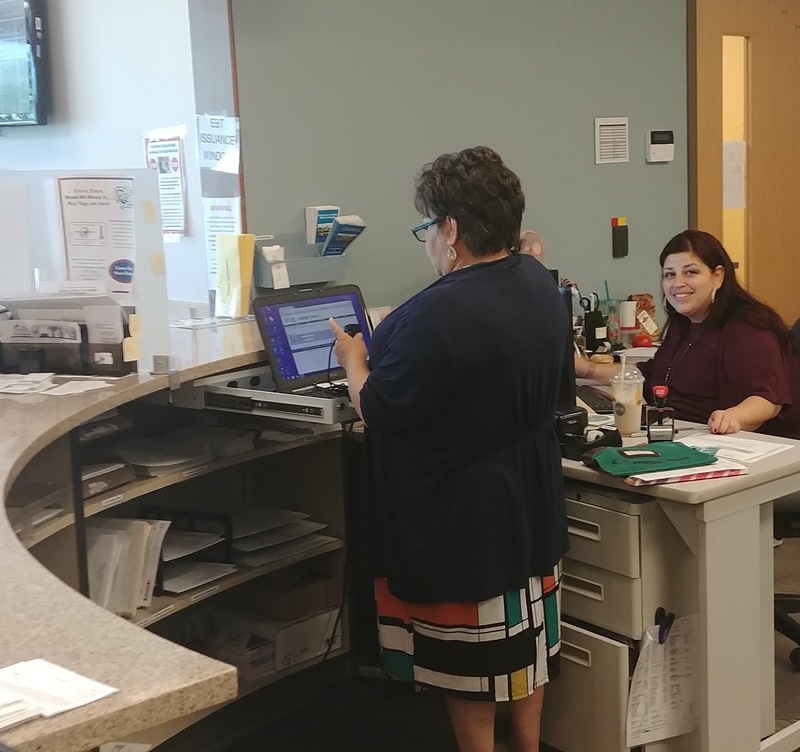 Mesa County Department of Human Services Administrative Specialists Bea Madrid, left, and Alicia Ramirez assist clients at the Workforce Center on Wednesday afternoon. 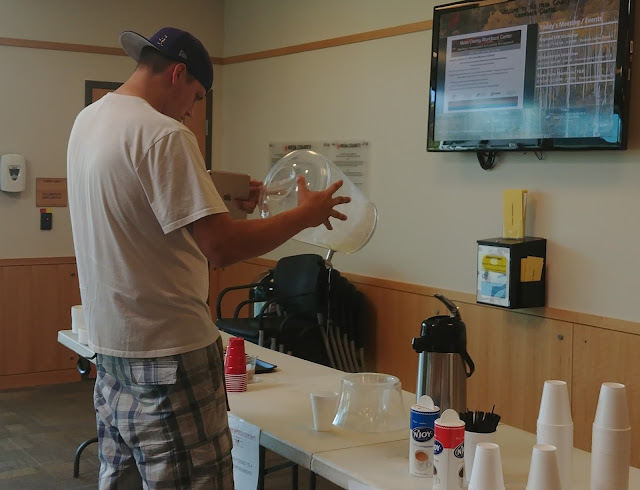 September is National Workforce Development Month, and to show their customers how much they are valued, the Mesa County Workforce Center hosted a Customer Appreciation Day. This is what happens when you arrive late for Customer Appreciation Day. DHS child welfare supervisors participate in a weekly staff meeting. 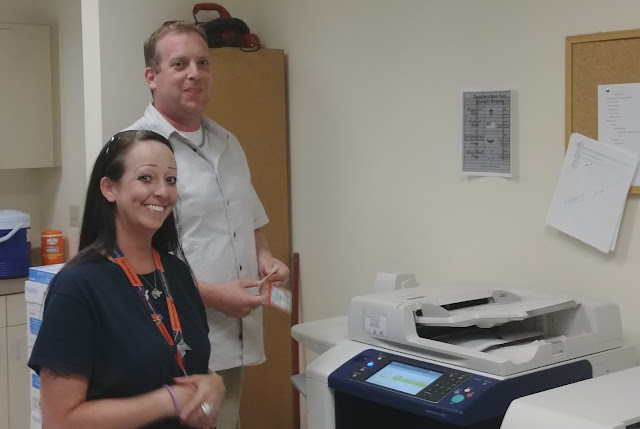 DHS Administrative Specialist April Puter, left, and Fraud Investigator Matt Furphy try to remember how to use the fax feature on the copier. 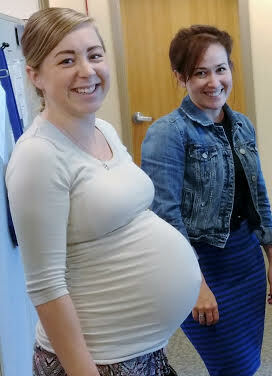 Before: DHS Child Protection Community Liaisons Ashley Watkins, left, and Caitlin Donohue. After: DHS Child Protection Community Liaison Ashley, right. DHS Mediator Brynn Jestes holds, Ashley's newborn, Makai. 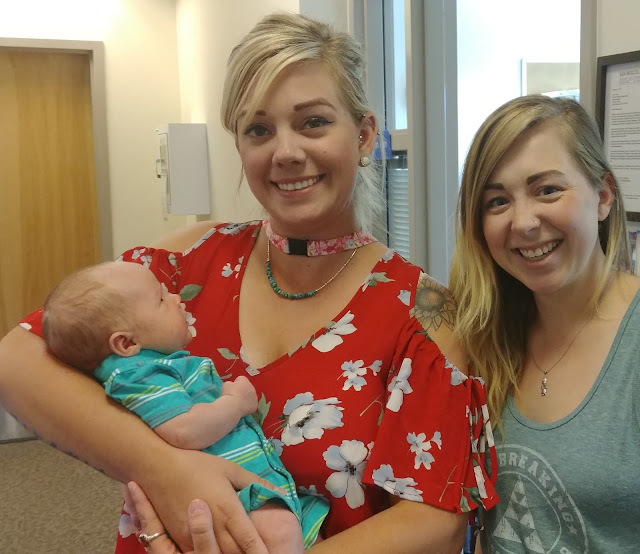 Congratulations, Ashely on your new bundle of joy! 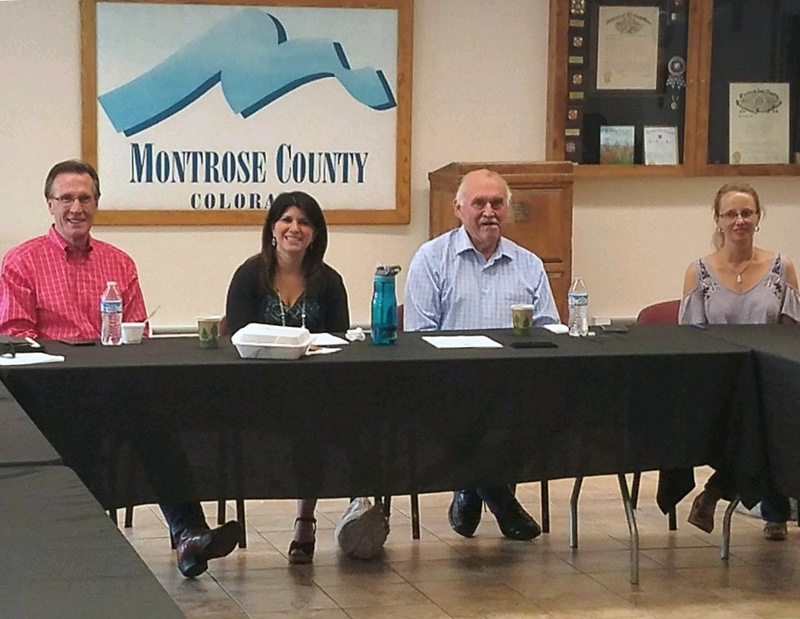 Mesa County Commissioner Rose Pugliese moderates a panel discussion on Habitat Conservation Plans for endangered species at the Club 20 fall meeting on Saturday morning. 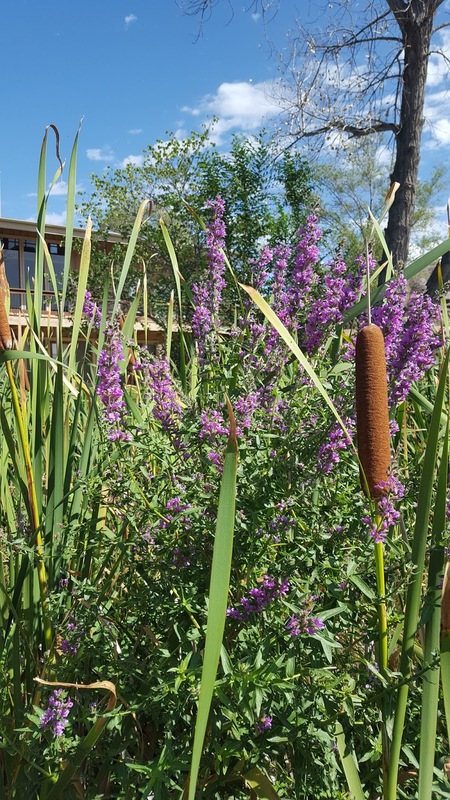 Habitat Conservation Plans guest speakers include (from right to left) Ann Timberman, Western Slope Supervisor, U.S. Fish and Wildlife, Bob Broscheid, Director, Colorado Parks and Wildlife, Cleave Simpson, General Manager, Rio Grande Water Conservation District and Rose Pugliese, Mesa County Commissioner. The panel discusses the roles federal, state and local governments play in the HCP for endangered species. Mesa County Commissioner Rose Pugliese talks to KKCO about habitat conservation and how it intertwines with economic development. See the interview here: http://www.nbc11news.com/content/news/443475613.html.